thats wat i was going doing in a diff colour!!!!! carbon bonnet and stretched lips i half way tru so cant go back now! i need ya to help me change colours on white cars!! how du do it again!! Takes a bit of practice, but that car was very easy for some reason, colorize the hue and play around with saturation and lightness to get her right. so i dont have to desaturate at the start??? dats very cool! ive gone completly different route! 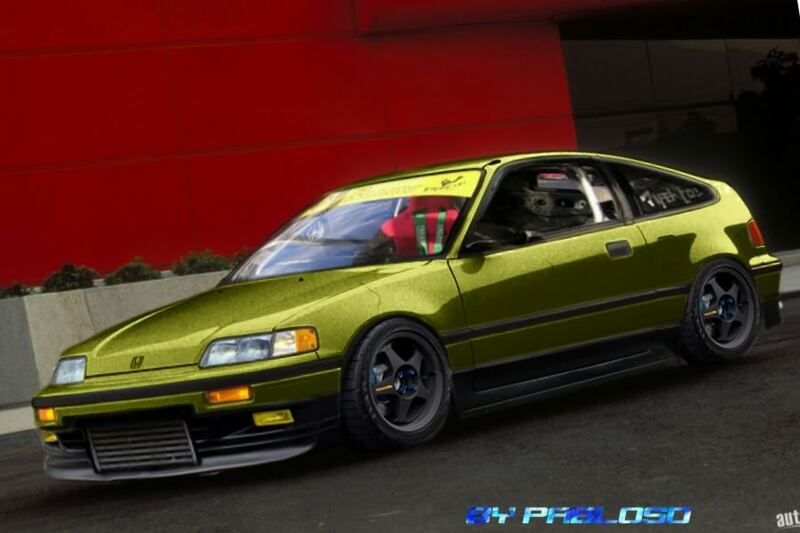 Crx`s are perfect the way they are so i just jdm`d that one! cheers kept it jdm, only tinted windows,lowered,xxr 501`s, red colour change, intercooler and yellow spots. also smoothed bonnet, door handles, petrol flap!! yeah i used my own wheels!! !, to get the colour right i had to do 3 layers of colour too!!!! harder than i thought to get a white car that red!!! i`ll prob change my mind when every one finishes theres!! finishing up with mine boys, another few mins and i'll be ready!!! Ok i kinda retract my statement about doing much to a CRX! SiR_ITR wrote: Ok i kinda retract my statement about doing much to a CRX! I like it.. on its arse is the only description!! Cheers gar, I love crx's and all they need is the right stance! Are u serious liam.. put her up! its only natural, people will have some of the same ideas! now that i look at it theres a good few differences alrite, but fairly similar!! hope ya like it !! !